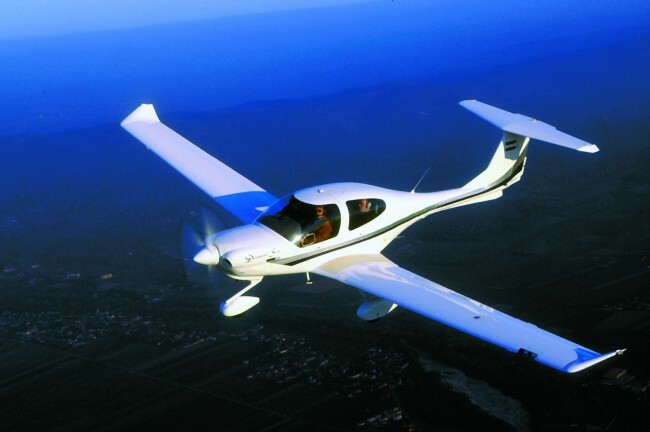 The Diamond Story began in 1981 with the introduction of the certified H 36 all composite motorglider. In the 25 years since then, Diamond has grown into an international company with over 500,000 sq ft of modern production facilities, over 800 employees, five distinct product lines, and company owned facilities on 3 continents. Hoffmann Flugzeugbau is founded in Friesach, Austria, to produce the newly certified H36 Dimona motorglider. Hoffmann Aircraft Ltd., now a 100% subsidiary of Simmering-Graz-Pauker AG moves to Vienna and introduces the Dimona Mk II. Production facilities are established at the Wiener Neustadt airport, just south of Vienna. The airport has a long history, dating back to before the first world war. The Dries family acquires 100% control of the company, now named HOAC AG. 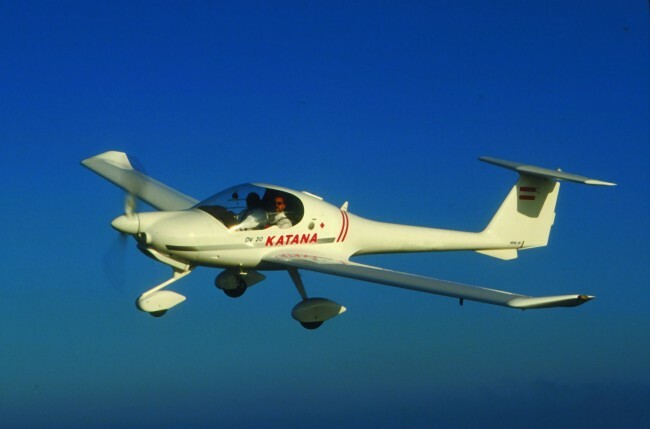 Immediately, development of the HK36R Rotax 912 powered motorglider and its derivative, the DV20 "Katana", are started. With a view to supplying the US market with its new technology training aircraft, a full production facility is established in London, Ontario. The company is named Dimona Aircraft. The Austrian built DV 20 Katana is certified. The first, DV20, OE-CPU goes on demo tour in the US and Canada. The first Canadian built production DA20-A1 is delivered to Central Missouri State University and serial production is ramped up. The DA20-A1 Katana receives the prestigious Flying Magazine Eagle Award, for best light aircraft. The company is named Diamond Aircraft Industries Inc.
HOAC introduces 4 new versions of the HK36 motorglider: taildragger or tricycle gear, either with the Rotax 912 or turbo 914 engine. The 4 seater DA40 program is announced at the AERO EXPO in Friedrichshafen. The first experimental aircraft are powered by Rotax 914 and TCM IO-240 engines, a testament to the efficient airframes! The Lycoming IO360 is selected for the production version. Diamond opens its new Diamond Flight Centre, including training facilities and the Katana Kafé restaurant, at the London Airport. HOAC is renamed Diamond Aircraft GmbH, to align with the North American operation. Diamond Austria acquires the Wiener Neustadt - East Airport (LOAN). The Wiener Neustadt airport and company facilities undergo significant expansion, with the addition of new taxiways, runway lighting, NDB approach, construction of a new administration building, pilot shop, restaurant, and maintenance facilities. Diamond opens a factory sales, service and flight training centre in Egelsbach (Frankfurt). The IFR certified DA40-180 Diamond Star is certified and enters production. The HK36TTC-ECO, a specialized aerial camera platform enters service. The DA40-180 receives FAA type certification and production for the North American market starts in London, Ontario. Diamond Austria flies the world's first modern production GA diesel powered aircraft, the DA40-TDI. The DA42-TDI Twin Star project is announced at the Berlin International Airshow in May. Company CEO, Christian Dries makes the first test flight on December 9th. The DA40-TDI turbo diesel powered Diamond Star receives European certification. The D-Jet single engine personal jet project is announced. The DA42 Twin Star wins the Flight International "Aerospace Industries Award". Diamond Austria's facility expand with the addition of the state of the art 100,000 sq ft Diamond Composites facility. 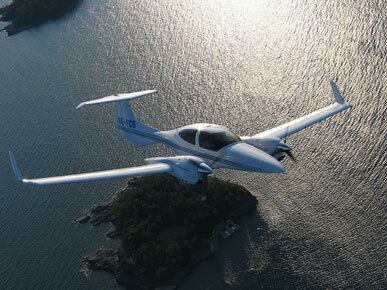 The DA42 Twin Star, equipped with the Garmin G1000, receives European certification and serial production is started. The Garmin G1000 is certified for the DA40-180. The company's DA42 demonstrator crosses the Atlantic nonstop, direct from St. John's, Newfoundland to Porto, Portugal, with a total fuel burn of only 72 gallons of jet fuel. DA20 and DA40 receive Chinese CAAC certification and first G1000 equipped DA40's are delivered to PanAm Beijing. The DA40FP, a carburetted fixed pitch version of the DA40 is certified. Diamond announces a Chinese joint venture to produce the DA40 Diamond Star for the Chinese market. The DA40-180 receives Aero-News.net "Best Certified Aircraft of 2005" award. The DA42 Twin Star receives FAA certification and first US delivery is made. The D-Jet Prototype is shipped to London for final system integration and assembly, prior to first flight.